If you're a slave to your inbox, it might be time to break free, turn off those notifications and breath a little easier. 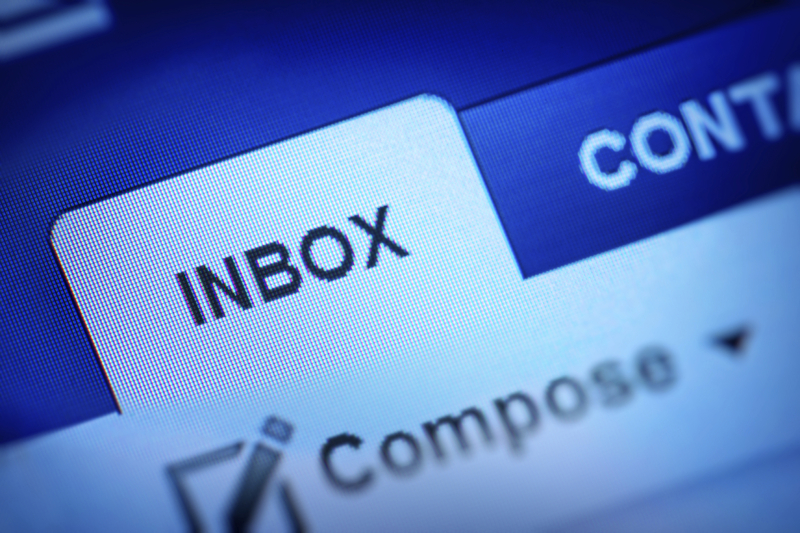 New research from scientists at the University of British Columbia has found that checking your email less frequently can reduce your stress levels. In his study, published in the journal Computers in Human Behavior, Kostadin Kushlev instructed 124 graduate students, undergrads, doctors, professors, analysts and other professionals to go one week checking their email as often as they could and to spend another week limiting themselves to three email sessions a day and turning off all email alerts. The results showed that during the week of controlled email time, participants were significantly less stressed, suffered fewer bad moods and felt overall more positive. Though people found it very difficult to restrict their email usage, Kushlev told CBS News, it was worth the effort. "If you resist you might reap some benefit." That benefit, Kushlev posits, comes from cutting down on multitasking. Multitasking has been shown in numerous studies to impair working memory and overtax your brain. It's even been linked to increased anxiety and depression. Every time you switch from the project you're working on to your inbox and back, it requires attention and brainpower. The distraction is detrimental to learning and performance and, by taking time away from the original task at hand, it makes you feel more rushed -- and more stressed out. "When you check email in the middle of doing another task, you are increasing stress, because you are imposing a high cognitive load," said Art Markman, Ph.D., a psychology professor at the University of Texas in Austin and author of "Smart Change: Five Tools to Create New and Sustainable Habits in Yourself and Others." "You are trying to keep track of what you were doing before while also dealing with the new task. When you finish with the email, you now need to return to the old task and determine what you were doing when you broke off to check email. Indeed, other data suggests that when you get distracted from a task, one of the first things you forget is your place in the task sequence. So, you create a higher-level of stress all along the line." Both Markman and Kushlev recommend checking and responding to emails in dedicated chunks a couple times a day, rather than constantly refreshing your inbox and hitting reply right away. An extreme version of this was popularized by Tim Ferriss, author of "The Four-Hour Work Week," who has preached using auto-responders to whittle email sessions to twice a day, or even once a week. "I think the main message of this research is people should try to avoid checking their email more than is actually necessary," Kushlev said. Redefining "necessary" is a crucial step toward cutting back. "The key thing to remember is that most (and probably all) of the emails that you answer in that moment could easily have been answered later. That means you did not really need to interrupt the task you were doing just to check email. It would have waited for you," Markman told CBS News. Other tips: Don't check your email immediately after starting up your computer if it's going to keep you from getting started on the day's more important work, and try to save your peak performance hours for more mentally challenging tasks. "People who work best first thing in the morning often check email as soon as they arrive at work. They spend 30 minutes to an hour of their best work time on email. It is better to do a quick triage of email in the morning and then focus on the tasks that require your best efforts," according to Markman. Ferriss and others offer similar advice. Markman said that in order to reduce the temptation of checking email, you need to "engage in a real process of behavior change." That means closing your email when it's not "email time" and only opening it at designated intervals. It also means turning off alerts so you're not tempted to click over. "If you want to check email less often," he said, "you have to protect yourself from yourself." Kushlev said that, in truth, many of his participants in his did not actually adhere to the three-times-a-day rule, and actually checked their email about five times a day, on average. But that's ok.
"They tried but they didn't quite make it," he admitted. "There is nothing magical about checking three times, but limiting your email checking to what is actually necessary might have beneficial effects on stress." For his part, Kuslev does look at his email more than three times a day, but he only replies in batches. "I tend to bunch my email checking. I will check it in the morning and then throughout the day I will keep an eye on it but I won't engage with it unless something quick," he said. "Then in the evening I do a full-on email session that deals with everything in a more detailed way."